Tag Archive | "Ways To Make College Cheaper"
College is an investment in your future — a very expensive investment. Between tuition, room and board, utilities, textbooks, groceries and transportation, college students quickly learn how to stretch a dollar, but there are ways to make college cheaper without eating Ramen Noodles every night. This might sound like an obvious answer, but did you know that college and universities typically offer a number of different scholarships and grants to help students afford their education? You can receive a scholarship based on your academic performance, your athletic skills, your race, your hobbies and your household income. You can apply for federal, state and private scholarships, and you can enter many scholarship contest giveaways online with different creative ideas, such as wearing an outfit made from duct tape to your prom. 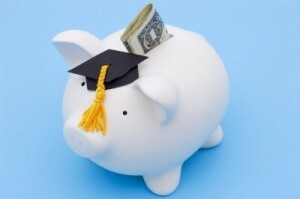 Some college financial advisers encourage students to apply for as many scholarships and grants as possible, even if you don’t meet the requirements. You might be surprised how many students apply for scholarships they don’t qualify for, but they receive the money anyway, because no one else applied for the same scholarship. Many students who want to graduate from college, but can’t afford tuition and other expenses, turn to the U.S. military for help. The military’s College Loan Repayment Program will repay a percentage of your student loans after each completed year of active duty. You should also consider the GI Bill, which helps members of the military to go back to college. Textbooks can easily cost $700 a semester. To minimize the cash you spend on college textbooks, consider renting your books, sharing with a friend or buying PDF versions of the book online. These are all great ways of gaining the knowledge from essential course textbooks without spending a fortune. An RA is hired by colleges to serve as a mentor, guide, friend and voice of authority for students living in on-campus dorms. Many students are able to cover their room and board charges by working as an RA. Not only does this job pay, but it provides a unique experience to your college life and it gives you the chance to make a difference in the lives of other students. College students may have an annuity from a structured settlement stemming from a personal injury lawsuit or a wrongful death lawsuit. Depending on your situation and your age, selling an annuity may be a good way to help pay for college. However, there are fees. Make sure to contact a financial adviser before cashing out your annuity. In the 21st century, more and more pressure is put on college students to pay their way through college. Don’t get discouraged. There are a number of ways to make college cheaper, allowing you to achieve your goals for the future. Today’s guest article comes from Kaitlyn Fusco. She is a content writer for Debt.org. She combines her interests in writing and overcoming debt to inform the public about issues related to credit, debt, annuity and personal finance. On CheapScholar.org, I thoroughly enjoy serving as a resource for families and students that are trying to navigate the financial aspect of their college experience. I cover a lot of topics (many related to Financial Aid & Paying For College Options) but one of the most important resources I like to share is how students are saving their hard-earned dollars and making college cheaper on their own campuses. Allison Taylor is currently a student in California and she recently entered CheapScholar’s “How Do YOU Make College Cheaper?” Scholarship giveaway. She took the time to submit the following ways in which she makes college more affordable. Enjoy! 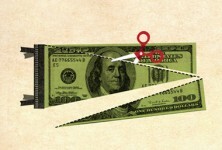 Specifically, by looking for different sources of money coming in. Earnings are just the start. We all know to search for scholarships (thus, our association with Cheap Scholar), and to keep grades high to stay eligible for the good ones. We all know to submit a FAFSA and pray for high grant dollars and few loan dollars. OK, done. Now, how about some out-of-the-box ideas? 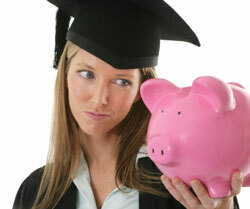 (A) Resources to take advantage of: Besides earnings & financial aid, look into matching programs. 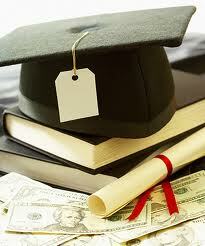 Are there employers who do tuition reimbursement? As an alternative to taking only night classes, paid for out-of-pocket while you work fulltime in an unrelated day job, search for one of these employers. Talk to everyone you know, ask whether they have tuition reimbursement available. Maybe even postpone university attendance until you get access to a job like this. What about working for a school? University of Phoenix employees get FREE tuition there, and spouses get a deep 80% discount (last I heard), as long as grades stay high. There are also some municipal/county/state aid programs aimed at promoting good financial habits & rewarding initiative. My county offers a savings matching program available for a few specific goals, including a degree program. You save as much as $2000 (minimum $25 per month), the match is double, up to $4000. You have to reside in this county, but can designate the savings account balance to be spent on education ANYWHERE. Meaning, I could go to school in Jamaica. Call around, maybe start by quizzing the small business centers to see what they know about local programs. If you have family/friends living in such a region, it might be worth relocating there, just long enough to establish residency & fulfill the program requirements, then move again & go to school where you want. There are also some workforce development agencies that provide (limited) funding for re-training for specific professions, mostly within in-demand industries projected for growth. If your profession is listed on their vocational list, you have a shot at getting some money, which is usually provided as reimbursement for specific school-related invoices/receipts. Don’t expect to walk out with a check, it may take some time investment. But so does the scholarship application process! Also look into odd jobs that seem to flourish at universities. Art model is a good one; they pay you to sit still & shut up! There’s always SOMETHING that the non-broke college students will pay inflated prices for, situationally. What if you had a huge ice chest full of cold water bottles outside every football/basketball/baseball game? Buying something for 25 cents and selling for $1.50 is called a healthy profit margin! Candy cravings follow you to campus, and who doesn’t have 75 cents for a candy bar? Unless there are vending machines everywhere, in which case your inventory may go stale. I’ve seen note-taking services do quite well, with student sales rep’s standing outside the larger lecture (100- and 200-level) courses in every major, selling typed notes printed on red (non-reproducible) paper. You have something to sell, just figure out what. I once did a calligraphy project for my dorm secretary for cash! (B) Paying less is just garden-variety frugality. We all know to look for used textbooks, right? How about paying just a few bucks for a one-edition-removed textbook? I’ve done this for Developmental Psych and Intro to Sociology, as well as some technical classes in my major. I paid $7 instead of $95, $4 instead of $78, and $25 instead of $143. And I got A’s in every one of those classes. How about buying your basic supplies at one of those big-box office supply stores, with one of those periodic coupons that say “$10 off your $30 purchase”. You get those coupons, right? Get on the mailing list! And don’t buy binders/composition books/plastic rulers new … get them at Goodwill! You know, the second-hand store where you already buy all your shoes/clothing? Collect freebie pens & post-its, drinking cups, etc. Word to the wise … school spirit notwithstanding, you can graduate without owning even one item printed or embroidered with your school mascot. True story. Just stay out of that area of the bookstore. If you find it at Goodwill, then you can buy it! I will buy underwear new, but only on sale at the big-box discount-department store. Almost all of my shoes/clothing come from second hand stores. Socks I buy by the dozen, all the same design, so one lost sock isn’t a waste of a pair. Paying less for tuition by going to a heavily subsidized community college for general ed is a classic, commonly known frugal move. How about checking into your local Regional Occupational Program (or the equivalent) to find out whether any of their classes can be credited by that local community college? In my community, the ROP offers some classes that can be “articulated” (essentially transferred) to the local college. There is limited course availability to adults, but HS students can take any class that fits their schedules. Through luck & careful planning, I took a Medical Terminology course for zero tuition, then filled out 4 lines of a form requesting that the local college (where I’m already enrolled) grant me 3 credits (which represents about $150 tuition). Total cost: one book, bought used (of course) from Amazon for $50. I also passed 5 AP exams in HS, meaning that I got credit TWICE from a public education, and I started university with 20 credits, saving myself the headache of enduring freshman English Composition, General Biology, etc. And those credits are all transferable! Stretching out purchases often means purchasing wisely, getting something more durable or more generally useful than something with just one narrow use. A good quality backpack (in a neutral color) will last 4 years if maintained. Likewise a basic, well-made bedspread. A decent filing cabinet will last for decades. Keep your shape, and those freshman jeans will still be wearable to your last final exam before graduation. Your Grateful Dead poster … well, no comment. And I’ll bet you’ll be eager to dump your collapsible dorm room furniture ASAP, but I kept my small particle board shelving units for quite a few years. If your campus has a decent cafeteria, consider stretching out your cafeteria visit to overlap 2 meals (if they allow you to stay on premises). I saw one guy (who I suspected was homeless) come into the Student Union cafeteria each Sunday morning, and he invariably stayed until early afternoon, paying just the breakfast fee but eating another meal after a few hours of chilling out. I thought he was pretty clever. If you like eating breakfast and lunch, or lunch and dinner, consider making the time in between into a study session. I’ve also been known to smuggle a bagel or roll or cornbread or cookies out, wrapped in a paper napkin, for a between-meals snack. I rationalize that the uneaten baked products are going to be tossed out (after a certain time goes by), so I might as well save them from the landfill. (C) Libraries have a LOT of free resources, occasionally including textbooks. Municipalities sometimes have free passes for mass transportation for certain groups (if you’re not in one of those groups, and you ride mass transit, get to know someone in those groups … call the city & ask who has them!). Membership in certain organizations sometimes comes with free museum passes (and museums often have monthly “get in free” days, so plan ahead). Getting to know older students can score you some cast-off dorm/apartment furniture when they upgrade or graduate. Furnishing cheap student housing is easier when you drive by the dumpsters of nicer apartment complexes to see what someone else has thrown out; those items are rarely broken beyond repair. If you can aim toward a (larger population) university with a fully equipped Student Health Center, that may save you significant health care insurance costs. Larger such health centers provide ultrasound testing, prescribe contraception, and treat sports injuries, for example. Larger universities also tend to have student-discounted tickets to the acts that perform at their activity centers and performance halls (plus, the ushers get paid to watch those shows) so you can have a full cultural calendar for minimal expense. Under the heading of “have the use of without cost” I can recommend attending a community college that’s within spitting distance of a major university. Then you can enjoy the cheap dance/music recitals, $1 movies in the student union, and great lecture series WITHOUT paying the big tuition bill … until you transfer. (D) Whether or not you’re a student, it’s surprisingly easy to talk yourself out of purchasing little luxuries (Starbucks drinks, snacks from the convenience store, new tennies) when you anticipate the cravings and go in bolstered with resolve. I take hot tea from home in an insulated glass to avoid the temptation to stop at the coffee shop. When I know I’ll be on campus all day, I carry an apple, a banana, a couple of cheese sticks, a baggie of crackers, and sometimes a homemade sandwich. A box of sugar-coated shredded wheat cereal & big bag of trail mix lives in my car (& another in my backpack, along with granola bars); they keep me from succumbing to the urge to buy overpriced snacks when my stomach rumbles walking past the student commissary. I think I’ll add a jar of peanut butter to the car stash! Buying used tennies to put in your used (or freebie) gym bag, along with a cheap jump rope and a thrift store towel will equip you to get a lot of physical fitness benefit without those high sticker prices for trendy gear. My college offers a repeatable-for-credit weight training class, $46/16-week semester, which saves me from ridiculous monthly gym fees. OK, so there’s no swimming pool, no sauna, no zumba classes there … but I got stronger & leaner! I can postpone a LOT of purchases, but there are times when purchasing in advance might be advantageous. When I knew what uniform I would be required to wear for clinical days in my nursing program, I watched for the right color of scrubs, and found two tops ($5 each, complete with the proper patches) at Goodwill, so I bought them, although I hadn’t even applied yet. That way, I won’t be overcome with urgency and just order new uniform pieces for my first clinical/hospital rotation. Also, I printed out (from the bookstore’s online info) a list (complete with ISBN) of every single required and recommended textbook and media resource for every single nursing class I will need to take, then imported the list into my smartphone so I can match titles (and editions) when I happen to stroll past the bookshelves at Goodwill. On this list, I wrote in the new and used prices from Amazon, so I’ll know whether I’m getting a great deal (or looking at a textbook that’s a waste of money because it’s 3 editions too old). In the pricing stage, I found 4 recommended media resources that were selling for just a few bucks each, so I ordered them and started reviewing the info. When I get to the class where I have to know it, these skills will seem familiar. Sharing textbooks would be a terrific option when you live close to (or room with) a student taking the same classes, especially if you attend different sections of the same lecture & wouldn’t need the book at the same time. Or if you’re exactly one semester ahead of (or behind) a good friend or roommate, you could split the purchase price, use the textbook 2 semesters running, then split the resale value when neither of you need that book anymore. I suppose you could share a textbook for the same lecture section, if you’re able to coordinate sitting together. College is also the time to talk yourself out of all those grooming luxuries that represent repeated costs. Trendy hairstyles that require a cut/dye/perm every 6 weeks, not to mention designer-name hair products? Not for the frugal student. Acrylic nails? Forget it! Stay out of the salon altogether or learn to do it yourself! Resist the urge to wear trendy new t-shirts (unless you drew the designs on the shirt yourself) and definitely steer clear of designer labels. Postpone buying a car as long as possible … they always break down and need an expensive repair. Postpone getting engaged or having kids til after graduation … those are big-ticket items! Postpone apartment living as long as you can stand it … dorms are a package deal and you will feel the pain of every utility check you write in the new apartment. Postpone the new laptop purchase until the old one’s on the verge of crashing (I know some of you will disagree, and that’s fine). Whenever possible, avoid buying the newest generation of whatever gadget you crave. If you have to have the newest, get someone in your family to take a job with Apple! *Have an attitude of delayed gratification rather than deprivation. *Constantly remind yourself how great the power of a degree will be, compared to the rundown “stuff” you might otherwise have bought with all those tuition dollars. *Apply “reduce, reuse, recycle” to every aspect of life. Hang out with lots of other college students so you won’t get caught up in envy of people with disposable income. *Practice gratitude for everything you have access to, including spoken affirmations to re-frame your perspective when you get down. *Be the positive, fun personality that everyone wants to have along in the group, even if they have to pool scarce $ to buy your dinner/drinks. *Tell yourself it’s a challenging game, and twist your perspective to “beat your high score” with respect to frugality & efficiency. Lindsey Arrojo is currently a student at Pierpont College and she recently entered CheapScholar’s “How Do YOU Make College Cheaper?” Scholarship giveaway. She took the time to submit 30 quick and easy ways in which you can make college more affordable. In an effort to share her knowledge and experience, I am passing her wisdom onto you. Enjoy! 10. If commuter, carpool back and forth to school. 15. Unplug anything and everything that is electronic if you don’t need it. 16. Use your cell phone less to make the bill cheaper. 17. Find a local dentistry school and ask if they do dental work for free. 18. Stop buying water in bottles. 19. 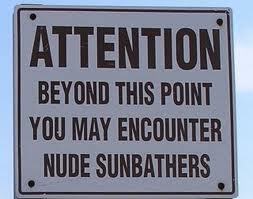 Stop going to the tanning booth. 20. Buy your clothes at thrift stores. 21. Buy the big bags of snacks, then put them in little plastic sandwich bags and take to school with you. 23. Many local stores and businesses will give a discount to students with a student ID card. 24. Sell unwanted items on ebay. 25. Get a job off campus. 26. Work for your college or university. 28. Don’t pay to park. 30. Make your own coffee. Learning To Cut Hair Can Make College Cheaper! 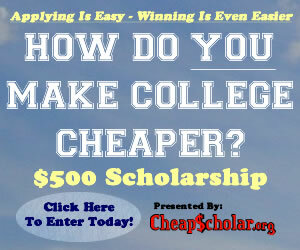 I receive a large number of responses from students entering CheapScholar’s How Do YOU Make College Cheaper? Scholarship Giveaway. Some students tweet their answers, others post them on Facebook, and many more send me their strategies to making college cheaper via email. The following represent some of the responses I have received. Enjoy and share with others! Many universities today try to sell their students expensive meal plans as a convenient and fast dining option on campus. While these can be fairly useful, they can cost as much as two thousand dollars per semester! The solution: electric griddles! The electric griddle is inexpensive, extremely portable, and easily stored, making it perfect for a college student in a small dorm. Just about anything can be cooked on a griddle, from burgers to eggs and bacon – they can even be used to boil water by placing a pot on top of the cooking surface! The griddle is an extremely versatile tool that allows the college student to eat well without purchasing expensive meal plans, thereby making college cheaper. Live at mom and dad’s, stay on family plan cell phone, chip in on groceries, help out around the house and earn the free rent ! Use your older siblings textbooks, and or xerox pages from a friends textbook by chapter 😀 shop for clothes at upscale resale shops! Don’t go out to eat instead put that money toward groceries, instead of wasting $15 on one meal! Always fill up gas tank at the half way mark, you get better gas mileage ! That is all. Woot Woot! You make college cheaper by doing volunteer work for your community while in high school because a lot of community organizations give away scholarships. You make college cheaper by staying home and attending a community college. This way you will not have to pay for housing, a meal plan, laundry or any other expense that may come up. Also, community colleges are overall cheaper and a specific specialty can be acquired in about two years, which means less time in school, which leads to less college expenses. Find alternatives in selling your textbooks back. Most times, you will find that the alternatives usually pay more than the university bookstore. Apply for scholarships, it’s that simple! A great way to make college cheaper is to bargain, bargain, bargain! When there’re items you or your roommates need for yourselves or household, shop at Dollar General or other actual “dollar” stores. 1) Buy textbooks used, RESELL THE BOOKS AT THE END OF THE SEMESTER! buy them from Amazon.com, they are generally cheaper than the bookstores. 2) Apply for financial aid and scholarships, these will help in so many ways. 3) If living on campus remember, the school meal areas may look nice, but Ramen is much cheaper. Want to make college cheaper? Learn to cut hair. A simple trim on campus is easy and convenient for students/customers! Room and Board?? nahh just give me a tent and a parking space… welcome home! Kayla Binkerd is a current college student and she recently entered CheapScholar’s “How Do YOU Make College Cheaper?” Scholarship giveaway. She took the time to submit 25 ways in which she saves money at her college. In an effort to share her knowledge and experience, I am passing her wisdom onto you. Enjoy! 3. Before buying your textbooks see if you can find a friend that has the book already and borrow it, or buy them used. 4. Sell your old textbooks online independently. Selling through the school cuts the value of your books substantially and chances are you will find someone who will buy them if you offer them even a little cheaper than other places. 6. If you have a meal plan – use it to its maximum and eat what you are paying for. Most schools don’t refund the meals that you don’t use. 7. Instead of buying at a coffee shop each day, invest a one-time expense in a coffee maker for your dorm room/apartment. It will save you a lot of money over time. 11. Instead of buying new ink cartridges for the necessary printer, many drugstores will refill your empty one for cheaper, or there are refill kits you can do yourself as well. 12. Cable is unnecessary; most laptops have built in DVD players and most of the time you can watch TV shows through the channel’s web page. 13. Eating out seems cheap, but it adds up. 14. Study groups help keep you focused on the primary reason you’re in college- to get an education. The more time you spend being focused and involved, the less time you have to spend money on frivolous things. 15. Weekends are the place college kids lose money. Be creative, even if it includes a picnic, a long walk, flying a kite, a pick-up game of soccer or football, etc. 16. Pick up a local newspaper and check upcoming events for freebies: concerts, arts and crafts fairs, theater, festivals, art galleries, and museums. 17. Never shop when hungry (an age old rule); it is key to sticking to your grocery needs. 18. Walk, ride your bike, skateboard, etc. Use a car when necessary but not when feeling lazy. Gas money adds up FAST. 20. Fill out your FAFSA…early. 21. Stay on your parents’ cell phone plan, insurance, and any other necessary plan as long as you possibly can. Family plans = cheaper. 22. When you do laundry, FILL the machine to its maximum. Small loads are still the same price as large ones. If you are close enough to home, use your parents’ laundry room for free. 23. Exercise! Cheapest form of stress relief there is and it is good for you too. 24. If time allows, find an on campus job. Typically they are only 10 to 15 hours a week and if you don’t need to use it for tuition, it is more money in your personal account. 25. Work hard, but don’t forget to have some fun and know when to focus. You don’t want to have to retake a class because you forgot why you were paying for college.